This case study proposes to provide information on how Maxis with the use of Alchemize was able to technically and accurately merge two Maximo system data structures into a single structure, within two days. This process included the system analysis, data mapping, as well as the extraction, transformation and loading of the data into a single testable system structure. Within 2 days, the system was ready for AHS to test. When tested, all tests yielded perfect results first round. No further adjustments were necessary! Based on the results of this project, AHS entered into an agreement with Maxis for Mx-Care for continued support of their Maximo system. Atlantic Health System (AHS) is a not-for-profit private healthcare company that operates hospitals and health care facilities in New Jersey. In 2017, AHS listed 16,407 employees and 4,796 physicians. With 1,860 beds 88,361 admissions were registered. In January 2014 Atlantic Health System and Chilton Hospital announced the completion of their merger, which adds the Pompton Plains-based hospital and affiliated Chilton Health Network sites. 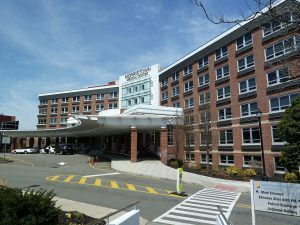 This merger adds to current facilities AHS’s owns and operates which include Morristown Medical Center, Overlook Medical Center, Newton Medical center and Goryeb Children’s Hospital. Their intent was to leverage some of the scale and scope of the organization, particularly IT. They committed to investing $15 million to improving the efficiency and quality of their systems. However, this project was not scheduled to begin for 3-5 years. Maxis began working with AHS in a consultant capacity for the purposes of improving reporting, data quality and increasing system efficiency. AHS was managing two disparate Maximo systems in the 7.5 family, running on SQL Server. They each had different customizations but no integrations, with a size of about 100,000 Workorders. It was determined that the previous installation was flawed. Running the exact same report repeatedly would yield different results. In addition, simply printing reports became very difficult. Oracle had been increasing their security level, and their Maximo version had not been updated to accommodate. The facility managers received reports that were delayed and inaccurate. Running two disparate systems on flawed data is not only inefficient, it may be dangerous in a healthcare / hospital environment. Increase efficiency, cut costs and provid timely, reliable and trusted reports. Get all of the hospitals within AHS on a single Maximo System, and running trusted data and producing accurate and reliable reports. The biggest challenge in this situation was acquiring the data from multiple disparate systems as well as hand submitted data. This is NOT a difficult project to manage with the use of the Alchemize data management platform. Under any other circumstances, a system analysis, data mapping and testing would take weeks if not months. Analyze and map and adjust all domain additions. Analyze, map and adjust all hierarchies to match. Analyze data quality, cleanse . The system, IT, administrations and management experienced an outstanding increased efficiency. This decision to merge systems and correct structure and flaws in architecture has proven to increase efficiency, cut costs and provided reliable and trusted reports. The ultimate benefit is the ability to make good business decision allowing safe and efficient maintenance of the AHS facilities. Maintain a single Maximo system on SQL Server. Use same reports across all sights, freeing up management and IT resources. The data was accurate and consistent allowing repeatable results. Reporting efficiency was dramatically increased, freeing up administrative resources. Management was able to receive reports in a timely manner and make decisions based on trusted data.